Everything always goes really fast with Franck Cammas. It was in Marseilles, at the tender age of 10 and under the watchful eye of Our Lady at the city's basilica, that the boy from Aix-en-Provence discovered the Optimist dinghy and competed in his first regattas. A student of advanced higher math and a diligent piano pupil at the music conservatoire, the little Mozart of sailing dreamt of taking to the high seas. At the age of just 24, he won the Solitaire du Figaro, a key competition in the French offshore championships. He then switched to the trimaran class, playing his races note-perfect, eventually becoming the most successful multihull sailor in history: 6 ORMA world champion titles, triple winner of the Transat Jacques Vabre, holder of the record for crewed circumnavigation (Jules Verne Trophy) and winner of the 2010 Route du Rhum. Franck Cammas was born to win. His triumph aboard a monohull on the 2011-2012 Volvo Ocean Race, the largest round-the-world crewed event, ensured him international recognition after a thrilling finale in which he snatched victory from the English-speaking teams. Well played that Frenchman! And although he didn't manage to lift the America's Cup in 2017, the Julbo skipper isn't about to give up. He already has his sights set on 2021. 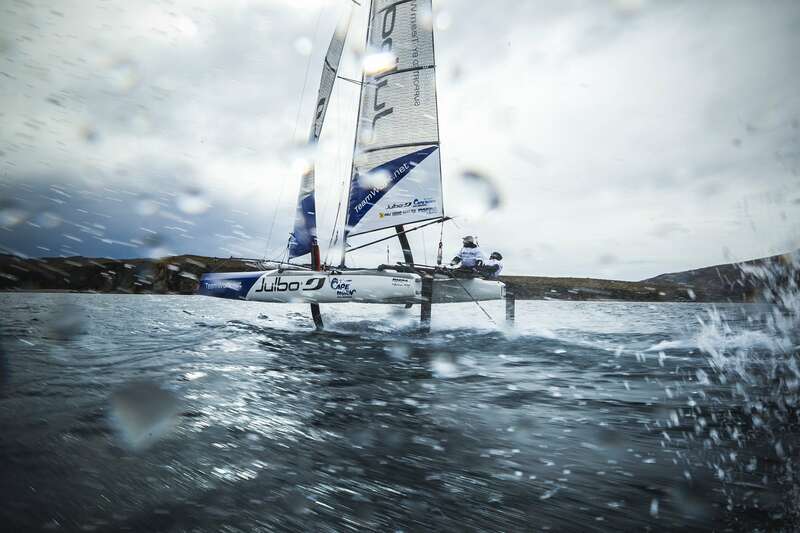 Franck Cammas has been an active participant in the Julbo sessions, taking amateur sailor Yohannes Wiebel to the dream destination of Cape Horn. Franck and his crew member rounded the iconic rock of Tierra del Fuego aboard a flying catamaran! An outstanding, testing adventure at the ends of the earth. Talented on the waves and ingenious on land, Franck Cammas always surrounds himself with the best and keeps abreast of technological developments. The skipper of Groupama Sailing Team sets the same standards for his vision, which is why he works alongside Julbo. 15 years of close collaboration with our teams led to the development of our photochromic, polarized and water-repellent Octopus lenses: "It's certainly one of the key innovations in sunglasses in the last few years, and they are of course an absolutely vital piece of kit for sailors. At sea, it's really important to have properly protected eyes, as vision is a key factor in performance." The French skipper embodies the spirit of the brand, and is an integral part of its vision. 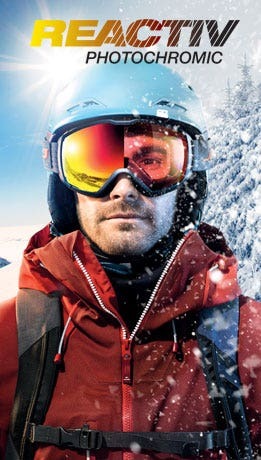 "My adventure with Julbo has been ongoing for almost 20 years! We share a common passion for the mountains and we quickly developed a special relationship. Thanks to Julbo’s expertise and the company's knowledge of the sports world, it can quickly and easily understand our requirements. We discuss the specific needs connected with a marine environment. 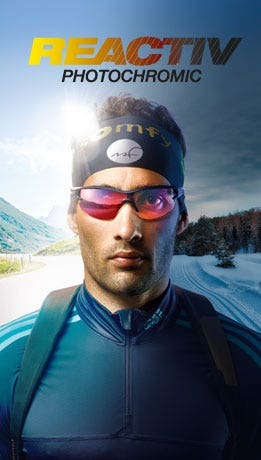 Julbo develops the products and we test them. The brand has achieved great things in the world of sailing and I'm delighted for it. I'd like to thank the company for its loyalty and hope that our future collaboration will be both long and fruitful."